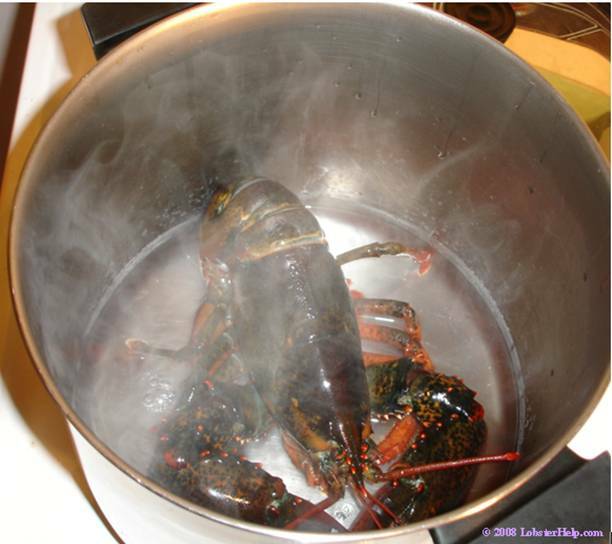 Steaming a lobster has many advantages over boiling a lobster because you don't have gallons of boiling water to clean up after. 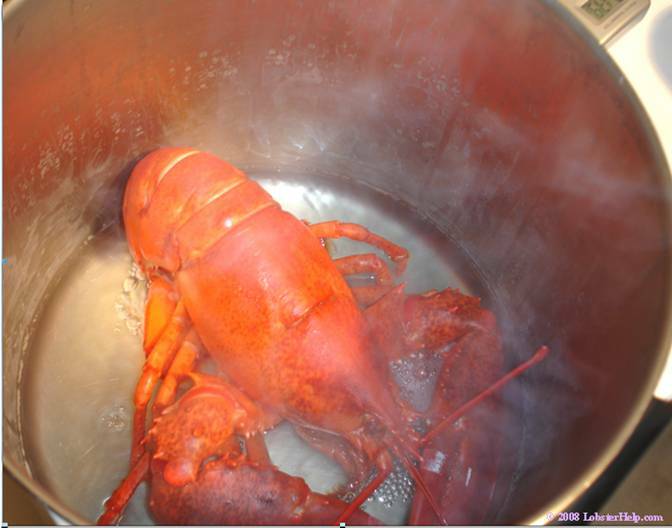 Secondly, steaming cooks the lobster more slowly thus the meat is more tender, especially with larger lobsters. Steaming preserves the true flavor of the lobster because it does not penetrate the way water can. 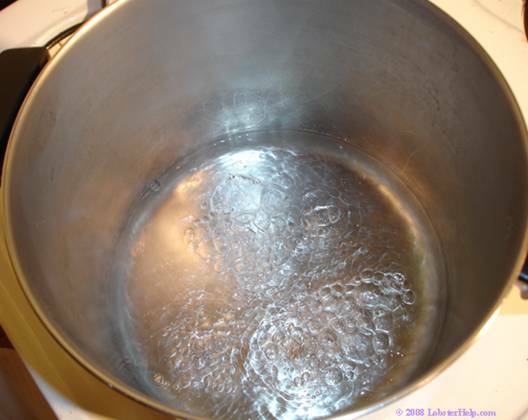 Steaming is also more forgiving when it comes to overcooking than boiling. 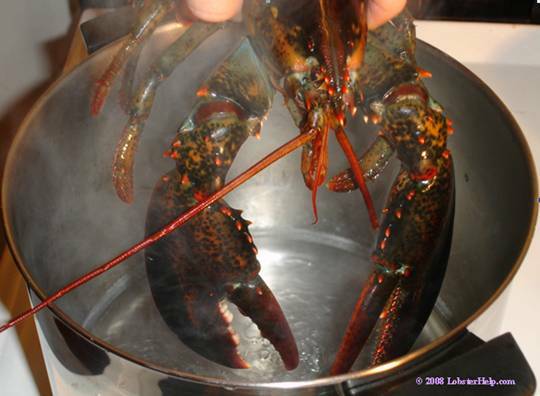 Ratio of lobsters to pot: A 4 to 5 gallon pot is ideal for steaming a total of 6 to 8 pounds of lobster. 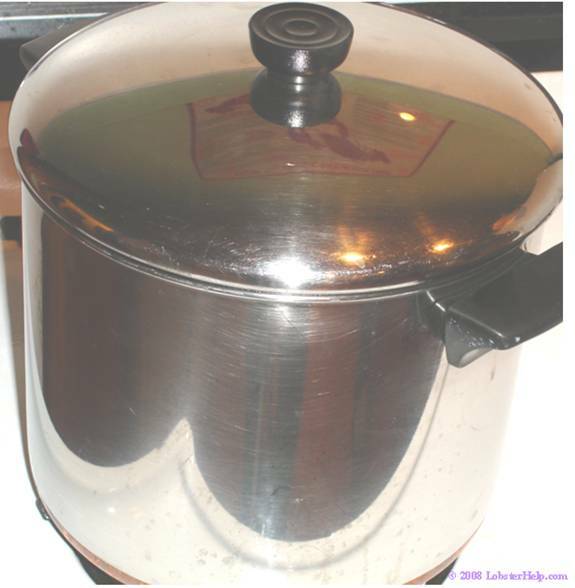 Do not overcrowd the pot, if you cannot see the bottom, use a second pot. 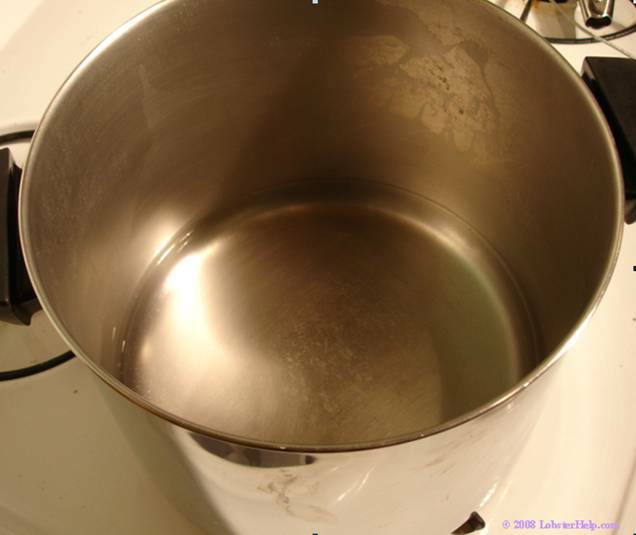 Fill the pot with 1 inch of salt water, either fresh salt water or water with salt added. Heat pot on high. 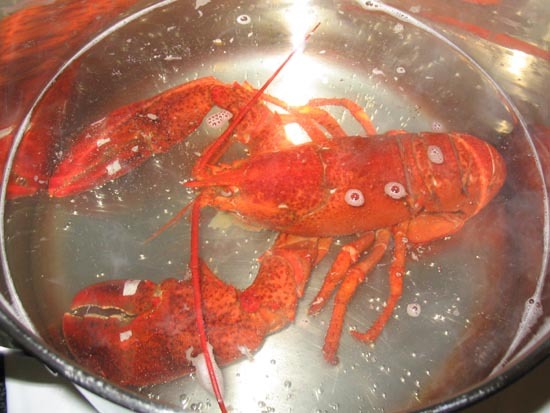 Prepare lobster by rinsing in cold water. If you feel brave enough, remove the rubber bands to prevent rubber taste. 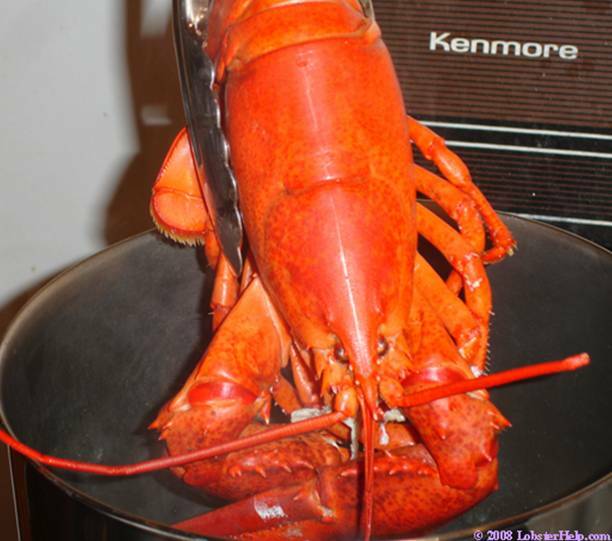 Once the water boils, the lobster is ready to be cooked. Plunge the lobster head first into the pot and close the lid. The lobster does not feel pain and will be dead in 10 seconds. It may continue to move afterwords due to muscle spasms. 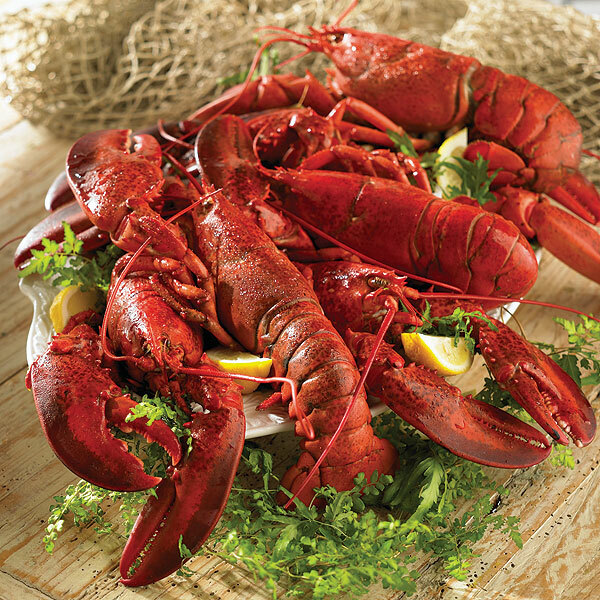 Lobsters will turn their characteristic bright red color well before the meat is thoroughly cooked inside. Follow these easy tips to ensure that the lobster is cooked. Tug on an antennae or pull off one of the small walking legs. They both will come off easily when the lobster is done. The meat inside the lobster will be firm, white and opaque The tomalley, which fills much of the body cavity will be greenish-yellow. 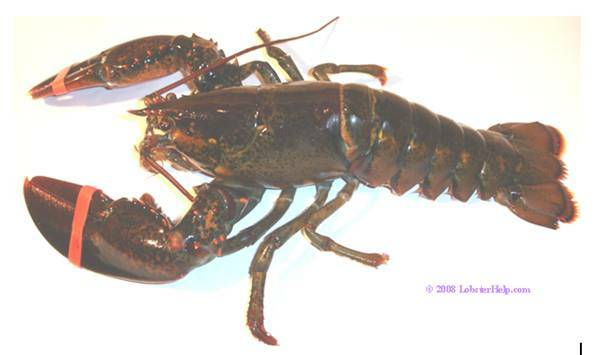 The roe in female lobsters will be bright orange-red and firm. 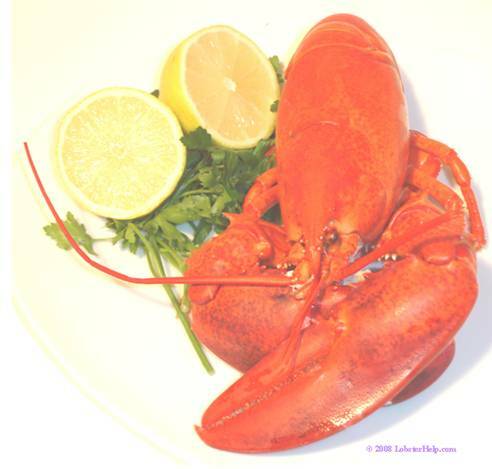 If it is a dark greenish-black, with an oily tar-like consistency, the lobster is under cooked.